SKU: 6811813 Categories: Anatomicals Showering Items, Body Wash Cleansers, Body Wash Items, The Fashionista Mama. “mwah” “mwah” “mwah” never mind all the bitching and backbiting, have you ever wondered why there’s so much air kissing goes on at the world’s fashion shows amongst the beautiful people? as well as not wanting to get creased, could it be they want to avoid hugging in case they don’t smell as great as they look? problem solved. this gel will leave anyone who uses it fresh, fragrant and even more fashionable. wherever you may roam (including Rome), envelop yourself in foam. 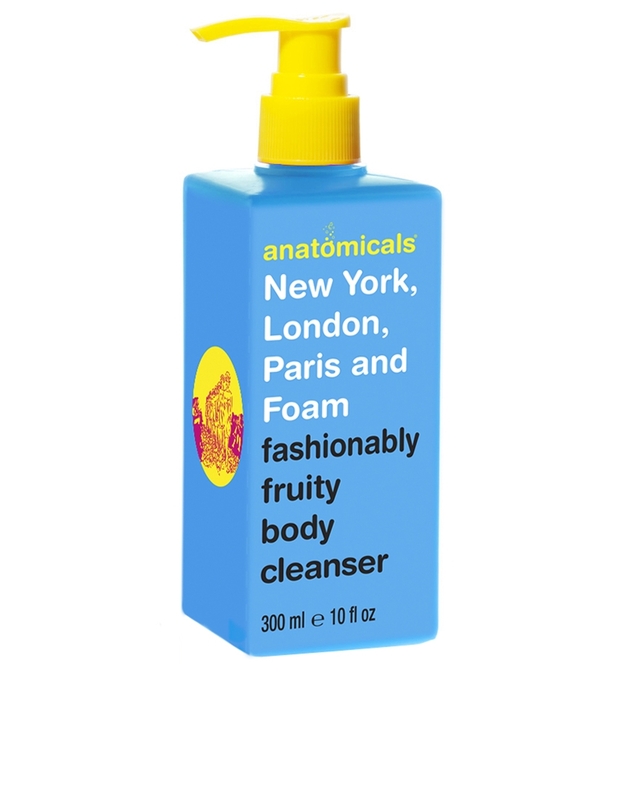 Anatomicals New York London Paris And Foam.